The Zippo timeline begins in the early 1930s, at the Bradford Country Club in Bradford, Pennsylvania. Bradford businessman George G. Blaisdell watched a friend awkwardly using a cumbersome Austrian- made lighter. The lighter worked well, even in the wind, due to the design of the chimney. This is the beginning of a myth, Zippo’s lighter production reaches today almost 475 million of pieces per year. It’s estimated that there are today some four million Zippo collectors in the United States and millions more around the world. In 2002 Zippo launched the first company-sponsored Zippo collectors’ club, called Zippo Click. The club has registered members from over 60 countries. 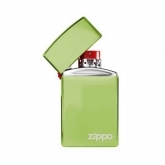 Zippo’s diverse product line continues to grow, and now includes lighter accessories; butane candle lighters; watches, fragrance, and lifestyle accessories for men; and the developing line of heat and flame products for outdoor enthusiasts. 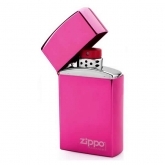 Zippo also owns the Ronson brand of lighters and fuel. In 2012, during its 80th anniversary year, Zippo production will surpass the milestone of 500 million lighters since Mr. Blaisdell crafted the first lighter in early 1933. The lighter is ingrained in the fabric of both American and global culture. In marketing parlance, the brand enjoys an unaided awareness rate of more than 98 percent. That means 98 out of every 100 people surveyed have knowledge of the Zippo name and lighter without being coached in any manner – an astonishing recognition factor. Today, though most products are simply disposable or available with limited warranties, the Zippo lighter is still backed by its famous lifetime guarantee, “It works or we fix it free.™” In 80 years, no one has ever spent a cent on the mechanical repair of a Zippo lighter regardless of the lighter’s age or condition.